← Virgin Galactic aims for space — but how high? Billionaire philanthropist Paul Allen died two months ago, but before he passed away, he passed along a $125 million commitment to a new research frontier: the Allen Institute for Immunology. 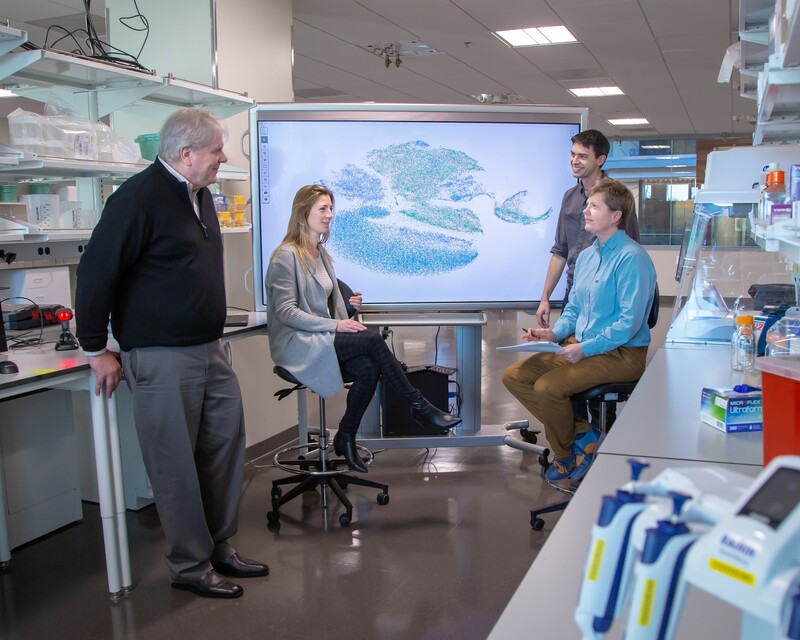 The Allen Institute’s newest division, unveiled today at the institute’s Seattle headquarters, will focus on the human immune system and how it can be tweaked to fight cancer and autoimmune diseases such as rheumatoid arthritis. This entry was posted in GeekWire and tagged Allen Institute, Health, Immunology, Medicine, Science. Bookmark the permalink.